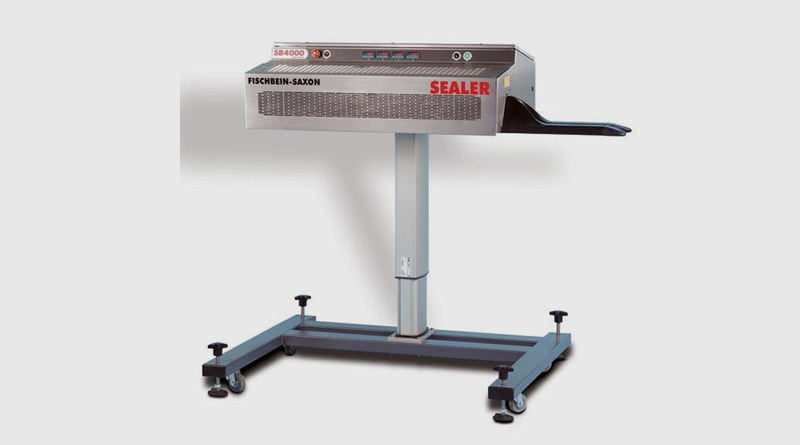 The SB4000 sealer has a 4 kW heater and vortex cooling. The heater module is removable for ease of maintenance and quick replacement of sealing bands. The machine has been designed for heavy-duty standard industrial use and has all the rugged characteristics associated with the Saxon family machines. 4 PID controllers with digital readouts accurately control the sealing temperature which allows a quality seal. Vortex cooling: compressed air is cooled in a vortex tube and then supplied to nozzles that direct it to both sides of the seal as the bag passes through. This cools the sealed area to both set the seal and reduce the temperature for the bag to be handled safely.